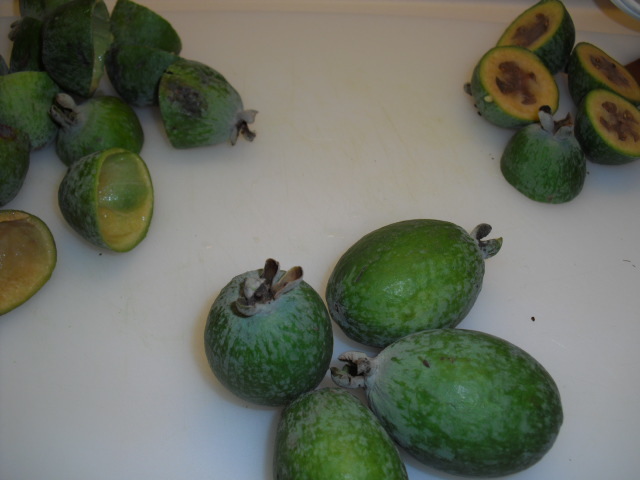 Unless you know someone with a Feijoa Tree! 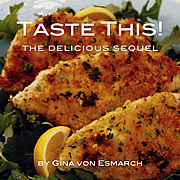 Published on December 14, 2009 in Recipes. 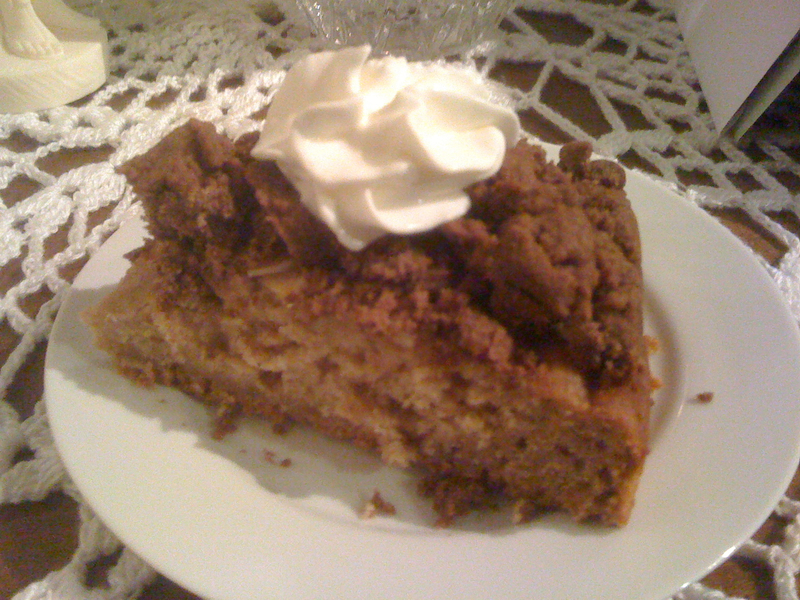 2 Comments Tags: cocoa, cocoa cruble streusel, coffee cake, Fejoa, pinapple guave. 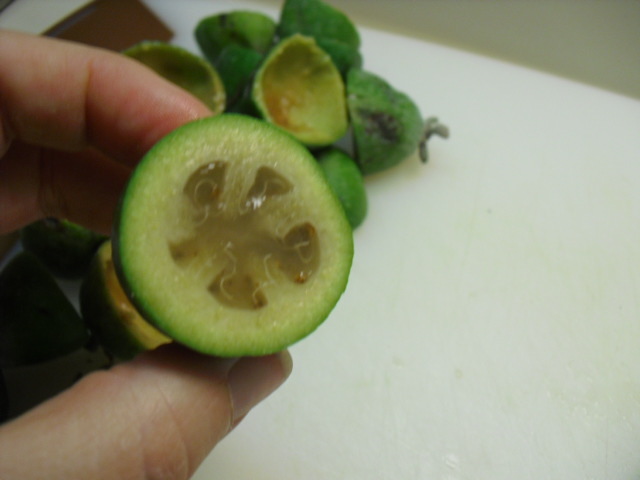 Feijoa – A waxy green fruit about 3″ long. Although it is not a guava you may know it as a Pineapple Guava. 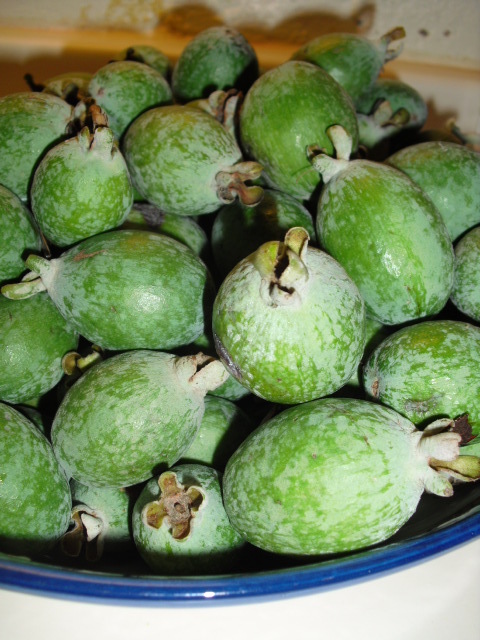 Feijoa sellowiana is an evergreen shrub which grows to approximately 10-16 ft. It typically thrives in subtropical regions but is hardy and once established will tolerate moderate frosts. This peculiar fruit is either eaten raw (with or without the skin) or made into jellies, sauces and chutneys. As you may have guessed, this post is one for the Aussies & Kiwis…unless you know someone with a Fejoa Tree (yes, I DO)! Coat a 9-inch round cake tin with cooking spray. Cut fruits in half and remove soft center with a teaspoon. Mash Fejoa until it becomes pulp. In a large bowl, cream together butter and honey. Add eggs one at a time, then add vanilla. Fold in fruit pulp. 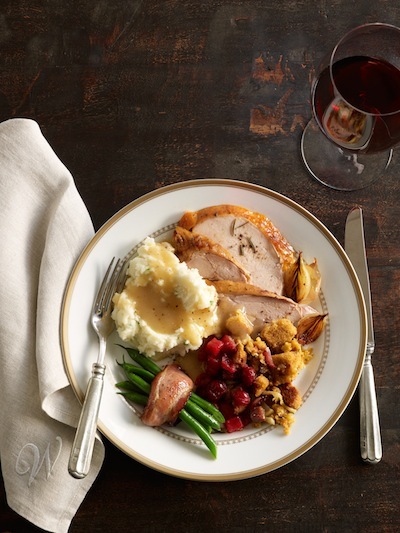 In a medium size bowl, sift flour and add in salt, ginger, baking powder and baking soda. Add into butter mixture. Fold in milk. Spread into prepared pan and bake 15 minutes. 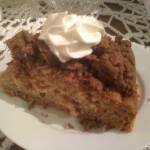 To make the streusel topping, add the flour, sugars, cocoa powder and allspice to a medium bowl. Rub in the butter until it resembles fine breadcrumbs. Mix butter and dry ingredients until fully combined. Set aside. Remove cake from oven and sprinkle almonds over cake followed by the streusel topping. 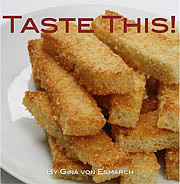 (Finely chopped crystallized ginger may be placed on top of cake.) Bake for another 20 minutes or until a skewer inserted into middle of cake comes out clean. Let cool 15 minutes to set-up. Serve with fresh whip cream and freshly pulped Fejoas.